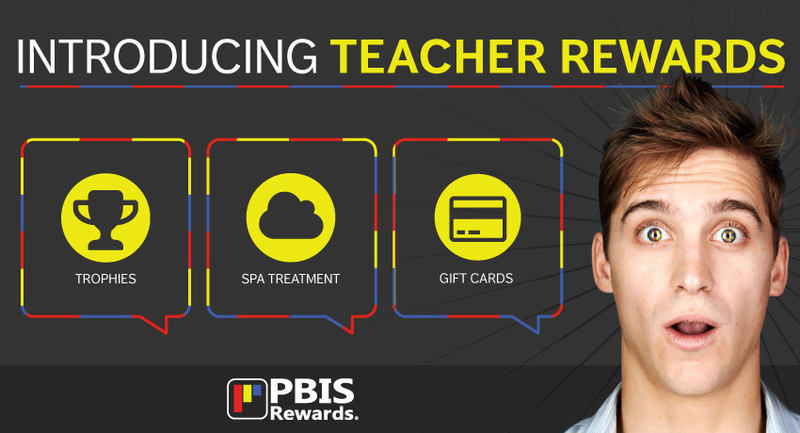 Introducing a Teacher Rewards System with PBIS Rewards! Studies have shown that positive reinforcement encourages positive behavior and a better school environment for students but can positive reinforcement also influence teachers and staff? Teachers are in the trenches of education – juggling classrooms full of kids with individual needs, planning, grading, assessing, scrutinizing data, teaching and re-teaching, attending meetings and ongoing professional development. Typically, schools shower their teaching staff with rewards and appreciation during their school’s annual Teacher Appreciation Week. But one week out of an entire school year doesn’t adequately recognize teachers for the hard work they put in every day. Teachers, administrators, and support staff are all seeing great things in their classrooms and are experiencing overall improved school culture with PBIS Rewards. But encouraging positive behavior in students is only half of the equation. We have found that, just like with students, rewarding teachers and staff by recognizing their efforts often results in happier, more effective employees, fidelity in the PBIS program, and contributes to better workplace morale. Happier teachers and staff lead to happier students and increased learning. Rewarding teachers and support staff while also rewarding students is a win-win-win situation for all. Now the PBIS Rewards app includes a teacher rewards system, Workplace Rewards for Teachers! As an add-on to our powerful schoolwide PBIS incentives solution, Workplace Rewards for Teachers allows you to award points to your teachers and staff. These points can be redeemed in the Teacher Store, which is separate from the student store and can be stocked with rewards that teachers will love and appreciate. Just like the student store, the Teacher Store can be filled with rewards varying from recognition to privileges to tangibles. And because the teacher store is fully customizable, you can also survey your staff to find out what they really want, and stock your store accordingly. Managing your teacher rewards program is as simple as managing the student portion of PBIS Rewards. Because school administrators have a lot of day-to-day management tasks, we’ve designed this system to be simple to administrate. Inside the Teacher Store, staff can see rewards they can save for or buy immediately. Email notifications are sent when an item has been ‘purchased’ from the Teacher Store. Once the item has been rewarded, the administrator can record and archive the purchase with a click of their mouse. We are very excited about this new addition to PBIS Rewards, and we are confident it will be an important tool in helping to promote fidelity for your PBIS program and maintain a positive school culture. To learn more about Teacher Rewards and request a demo of this add-on feature, visit the Workplace Rewards for Teachers page.